To pick up where I left off before I went on my unplanned hiatus from blogging, I'll continue featuring photos I took from our May 2015 vacation to Ireland. In Galway, we stayed at a B&B called Periwinkle. Our host, Joan, was great and so helpful in providing maps and directions regarding our travel plans there. For our drive, we followed the Connemara Loop. Although it rained on and off during our drive, I managed to capture (I think!) 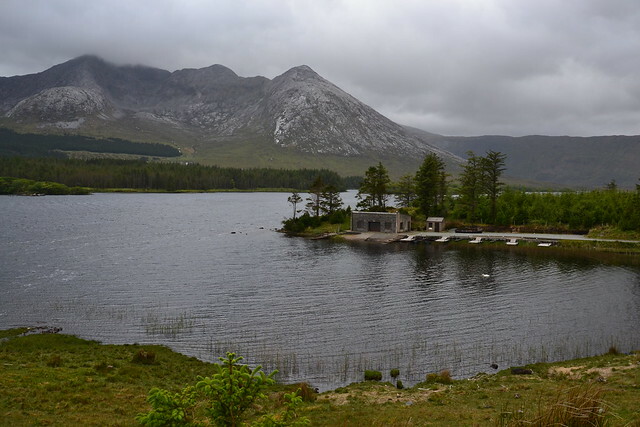 the essence and beauty of the scenic Connemara National Park. We planned Connemara National Park to be a full day of driving, but the area is so beautiful that each turn is a delight. We had to make so many stops. We passed through this area on our way to Killary Fjord. A cutie was actually observing me when I got off our car to take some photos. Kepi and I sat here for a long time. The fairy island looks so inviting and the view was calming and beautiful. 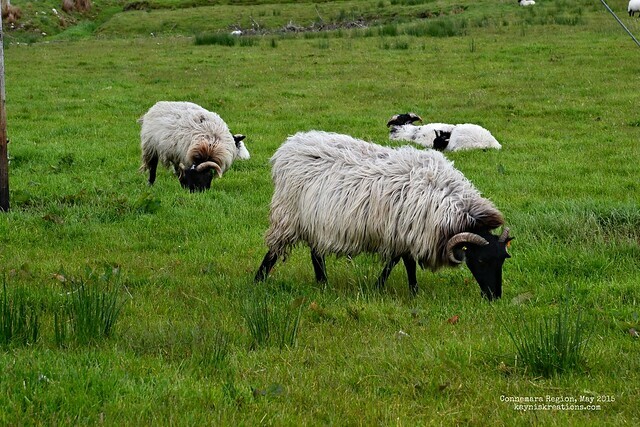 Irish Blackface Sheep grazing nearby. 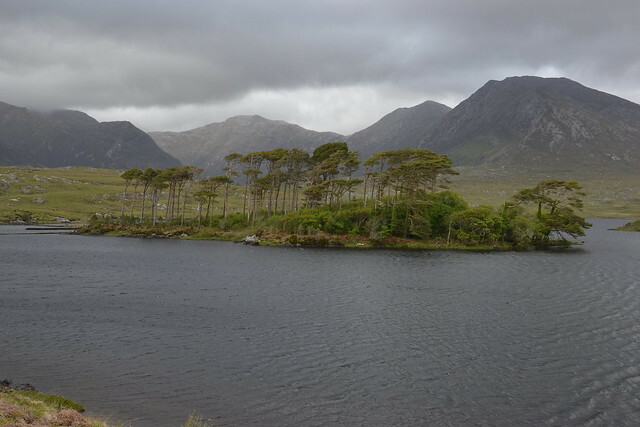 At the Connemara National Park, it was the emerald open fields and mountains that spoke to me. Located on the West Coast of Ireland, this place have survived time and the lashing of the Atlantic wind. It is wild and I absolutely love it! Ireland is so beautiful. It was indeed a memorable trip. That Fairy Island was so lovely. Thanks for sharing Kayni! Thank you, Lei. I love Ireland and I'd love to go back again. Oh my goodness. We've been scoping out packaged tours to Ireland and most of them provide a manual car. Did you drive a manual car? Lucky for us there's an Irish airline that flies direct from SFO now. Idk when I'll fulfill my Irish dreams. Did you know that Ireland was my first dream destination? Ever since I was in PI and even knew I would be traveling someday I always wanted to see the rolling hills and the dramatic cliffs of Ireland. Yes, we drove a manual car. You can always upgrade to an automatic but it will cost you about 12 Euros per day. Driving manual on the wrong side of the road is freaky and fun. I'm sure you'll see Ireland if not sooner, later. Hello, the scenery and park are beautiful. I love the cute sheep! Enjoy your day and the weekend ahead! Thank you, eileeninmd. Yes, that lamb is really cute. Have a great weekend as well. A wonderful landscape, beautiful hotos. I love the intense green of the vegetation and how rugged the land looks and the exotic goats are wonderful also. Thank you! Nice picts. 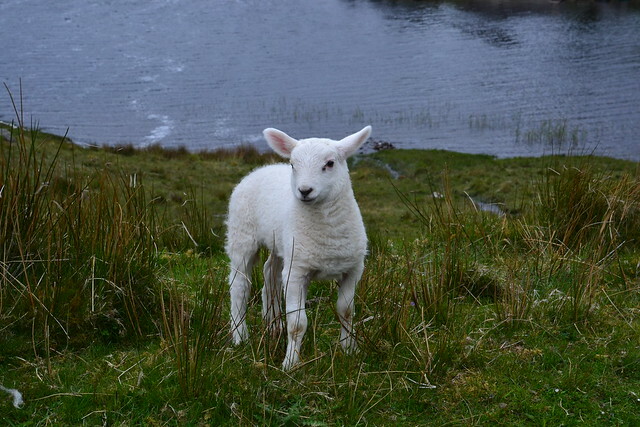 The lamb is cute. Lovely pics but that lamb is adorable! Connemara was my favorite place in Ireland. I loved it! Your photos are wonderful! I love it too. I long to visit Ireland. I just wish I didn't have to go to work and could just travel around the world. You captured this wild place beautifully. Thank you, Loree. That's what I keep telling myself - I wish I could travel full time. wow Ireland must have been so cold..love the photography of this post..